Are we seeing part of President Lucifer's end game? Back in 2008, Barack Obama, then a presidential candidate, called for a “civilian national security force.” And he wanted it wanted it as big as all of the nation’s military branches. Now black activist Al Sharpton is suggesting a path that probably would accomplish that: nationalize America’s police forces. “If you’ve heard the term ‘social justice’ bandied about over the course of your life and wondered what it really mean, aside from another way of expressing liberalism, the press conference today by Ms. Mosby, the state attorney, pretty much defines social justice as opposed to real justice,” Limbaugh said. Obama’s calls for a private standing army was made at a 2008 appearance in Colorado Springs. It was WND Editor Joseph Farah who raised the obvious questions about Obama’s plans for a civilian army after the speech. “For several days now, WND has been hounding Barack Obama’s campaign about a statement he made July 2 in Colorado Springs – a statement that blew my mind, one that has had me scratching my head ever since,” he wrote at the time. Farah pointed out that a “massive but secret national police force that will be even bigger than the Army, Navy, Marines and Air Force put together” would be startling. “The U.S. Army alone has nearly 500,000 troops. That doesn’t count reserves or National Guard. In 2007, the U.S. Defense budget was $439 billion. Is Obama serious about creating some kind of domestic security force bigger and more expensive than that?” he wrote. Limbaugh explained what the nationalization of police and the “social justice” emphasis by the prosecutor, mean. WND reported two years ago that a book documented how the Department of Homeland Security already was demonstrating troubling signs the agency is shifting the balance of power away from local and state municipalities toward a centralized federal authority. In “Impeachable Offenses: The Case to Remove Barack Obama from Office,” New York Times bestselling authors Aaron Klein and Brenda J. Elliott conclude the DHS has likely violated the Posse Comitatus Act. The authors further cite evidence the DHS is building a de facto domestic military, with the purchase of military-grade equipment and the execution of military-style training exercises. The DHS could be the realization of Obama’s call for a civilian national security force, warn Klein and Elliott. Now we know why Obama’s agent provocateurs are stirring up protests in our other major cities. This entry was posted in conspiracy, Evil, Liberals/Democrats/Left, Military, New World Order, Obama, Obama scandals, Obama's America, Police state, Race, race war, Racism, United States and tagged Barack Obama. Bookmark the permalink. For this to be successful, wouldn’t the Republican controlled congress have to be onboard as well? The House controls the purse strings so one would have to conclude that the Republican controlled House of Representatives would release the money for this illegal police force. The whole idea of this commie style police force is evil!!! Exactly how does Homeland Security formed by Pres. Bush connect with FEMA formed by Pres. Carter. There is a connection that I do not understand. Do any of you understand the sliding sands of time. Now I know why obama’s administration has been stockpiling bullets. It’s getting easier and easier for the govt to convince people to give up their best interests and rights in the name of “national security”. If Sharpton truly believed in “accountability” he would pay his taxes. When folks realize USGOV is staging fake terrorist attacks (and school shootings), they may revolt. That is why the gov’t is rushing to disarm the population. 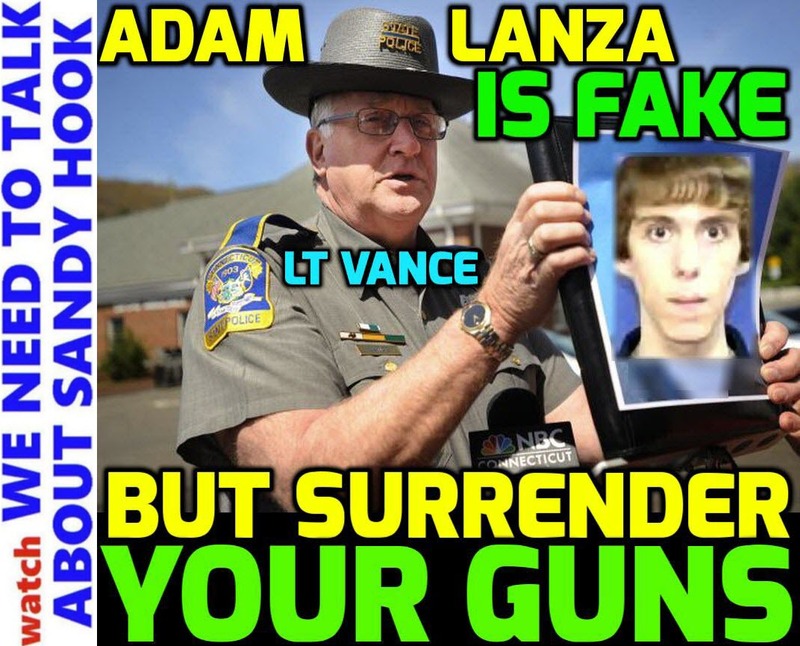 They screwed up at Sandy Hook (gun-grab hoax). The clock is ticking — we’re in a race to wake folks up before the Globalists (via traitor Congress) outlaw private gun ownership.